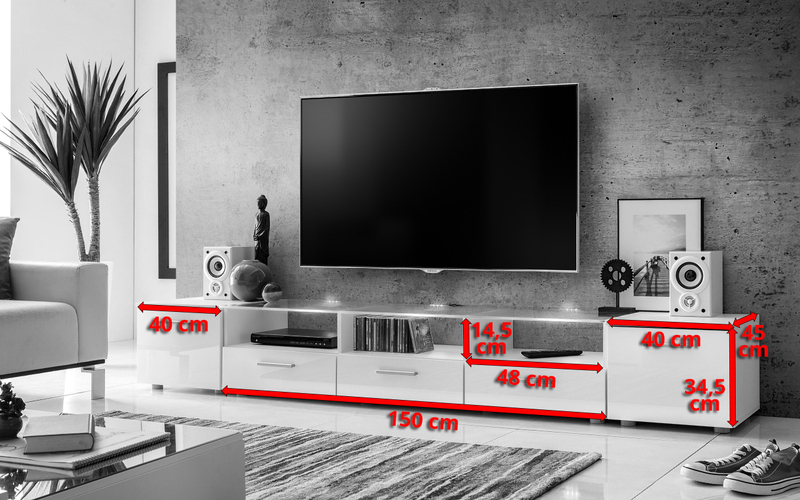 'Long' is a set of floor cabinets, with a room for TVs up to 65". The middle unit has 3 drawers with open compartments offering perfect space for some TV equipment. Top is made of 8mm glass. Top glass panel is LED lighted (optionally). On sides 2 extra separate cabinets with storage space behind doors. There are 4 colour options available.